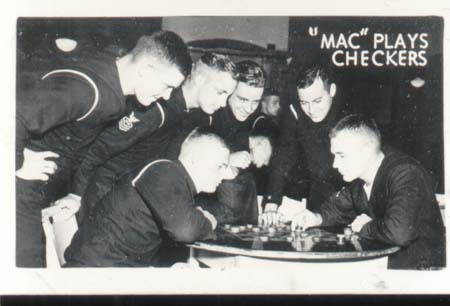 WWII Navy mini photo Mac progress Shows MAC finds time to play checkers. These were the official sanctioned photos of the Navy. This little photo came out of a Navy scrapbook from the year 1943. Excellent condition. Please note picture is larger than photo. 1 3/4 x 2 3/4"
Items Similar To "WWII Navy Mini Photo Mac Finds Time To Play"